A long straight par 4, played slightly uphill to a green that is heavily guarded by bunkers. This is a challenging hole measuring 442 yards and requires a strategic decision from the tee. The safe option is to play to the wide part of the fairway, short of the bunkers on the right, which leaves a long second shot. A more aggressive approach is to play to the narrower part of the fairway between both sets of bunkers, leaving a medium iron. 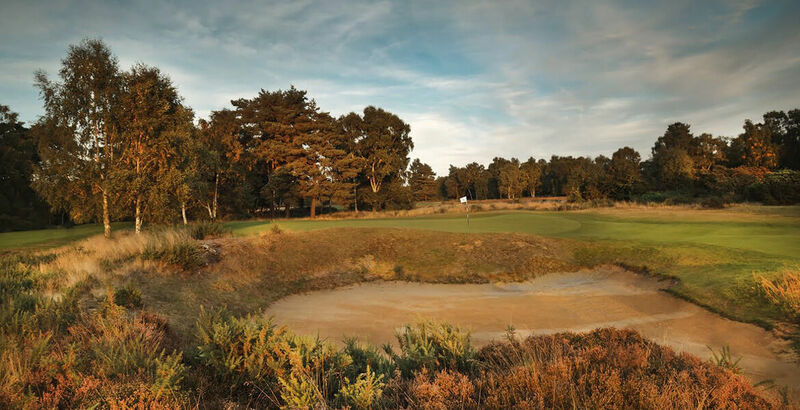 The second shot has to be precise to avoid the greenside traps and the green has a pronounced dip running through the centre from front to back.